So to kind of get this post to some direction, let me get started with the promises of the product. 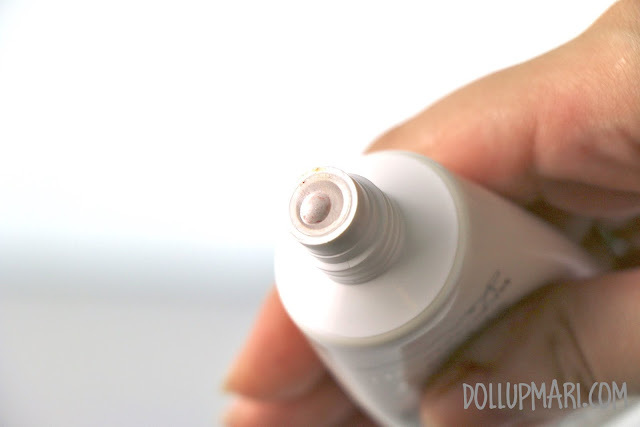 This variant specifically has three major promises-- total UV protection, no color mismatch, and no oiliness. 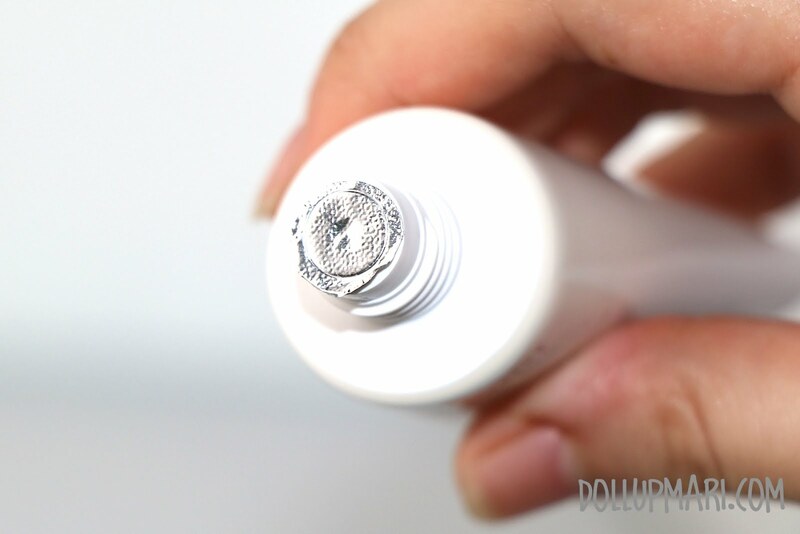 The other variant, for dry skin, promises that there'd be no feelings of dryness on your skin. They're promoting this as a 10 in 1 product, boasting that it has SPF 50 and has Panax ginseng root extract in it. This is how the tube looks like. The packaging is so-so, it doesn't look cheap, but it can also look classier or cuter, depending on what consumers generally want. Thankfully, for consumers' protection, the spout has a foil seal over it. The moment I opened it and squeezed a bit of product out, I was amused to see a white fluid with red and yellow specks in it. 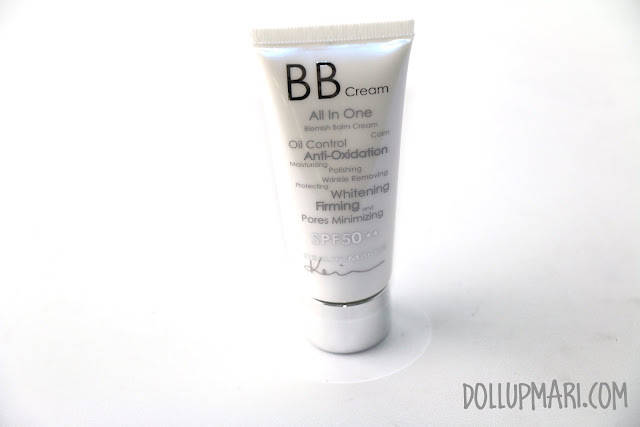 It's my first time to see a white BB cream given that all the other ones I've tried are already in their final shades the moment they get out of the tube! 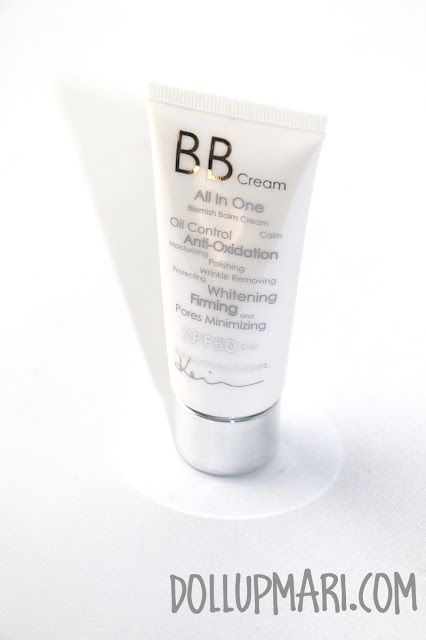 When put on lightly, this is hwo the BB cream looks like. Basically you can see the reddish streaks appear in the white area. 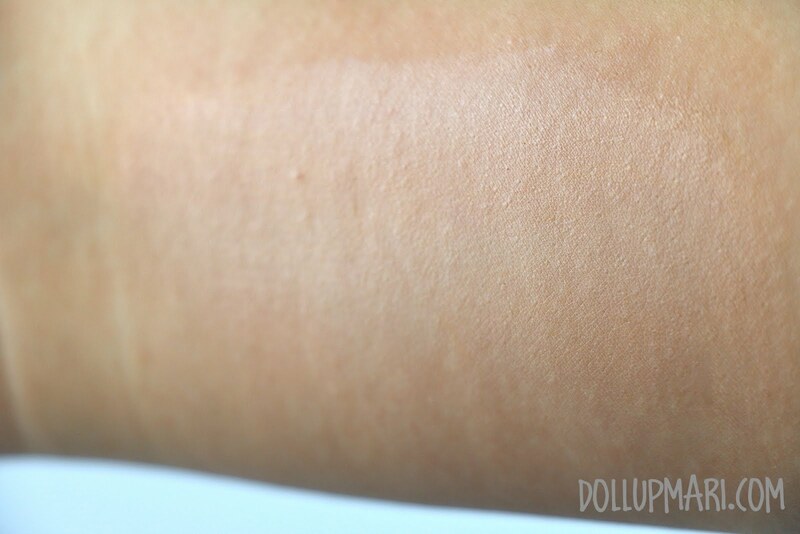 The moment you rub it a bit, the white color goes away and gets replaced by this reddish skintone color. But when you blend it really well and smudge it already, it ends up in your skintone. I was amazed by how fast this product oxidized because the usual BB cream oxidizes in fifteen minutes or more! And now this is me putting the product to the test. The photo on the left is me without any makeup yet, and the photo on the right is immediately after I lightly dabbed the product on various spots on my face. This is where the problems started to show up. While I was swatching this product on my arm, I didn't really notice anything strange. But when I started dabbing it onto my face, it smelled soooo much like sunblock. It smelled like Coppertone to be honest! I was taken aback because I have other BB creams with the same SPF that do not smell this way. 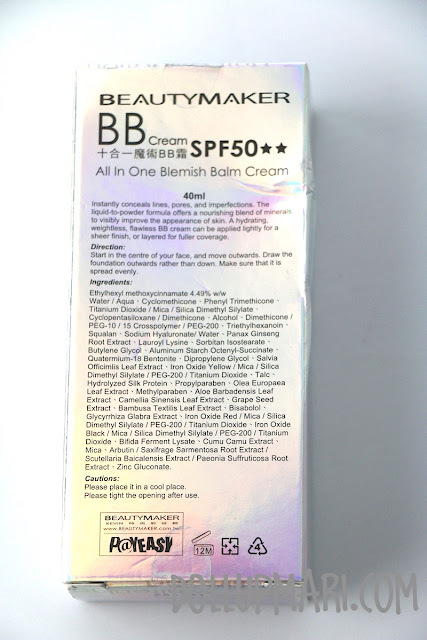 Moreover, in general BB creams are just not supposed to smell this strongly of sunblock! This is where a second problem arose. It was just sooo streaky! As in I had already blended it to the maximum possible, and yet it was still so streaky! 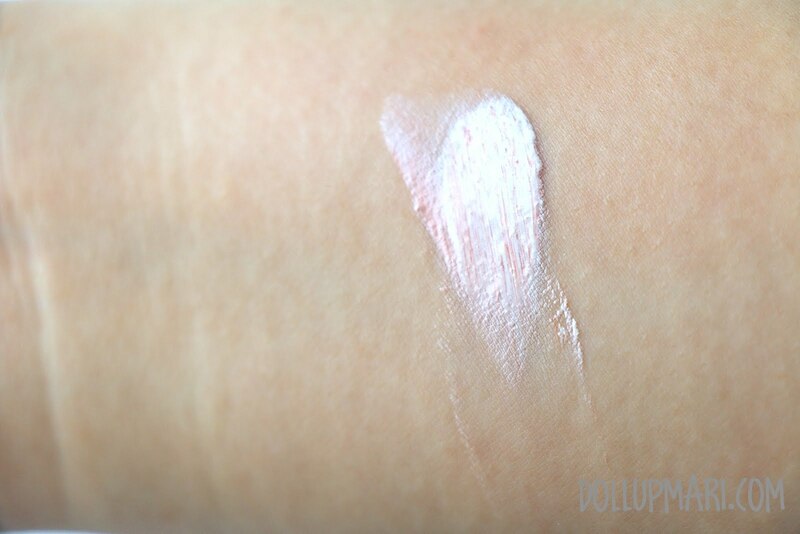 It may have looked nice on the arm swatch but on the face it just didn't make my skin look dewy and fresh. And this is the summary before and after shot. In terms of color matching, the product got my skintone with no problems at all, but that's in real life. I know that a lot of you seeing these photos feel that my skin ended up too white... 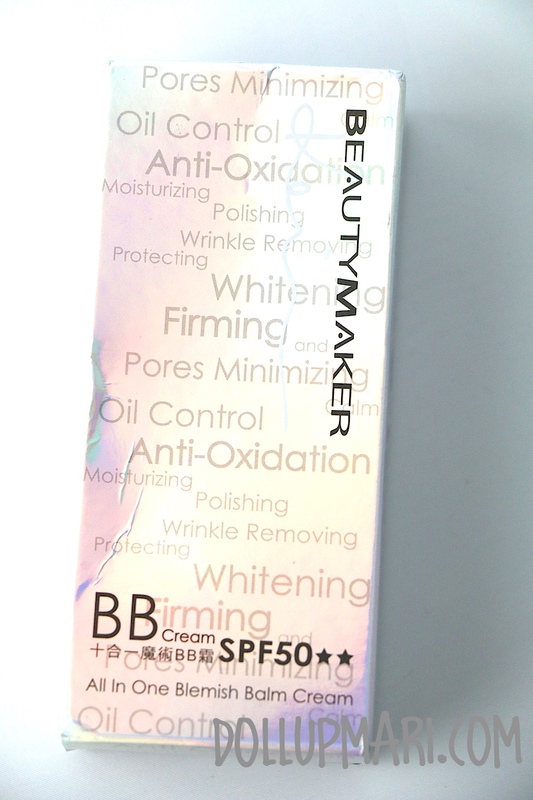 I think it's because the UV protector ingredients in the BB cream are so light reflecting that my face color looks off. And given how strong the smell is, they must've put so much chemicals that it already relfects light too much already! Thankfully all these shots of me are without flash because I think it's even worse with flash! But definitely, I will not buy this product myself knowing that there are so many BB creams out there in the same price range that will give a much nicer finish! There are also so many other foundations and skin base products that give a better finish! And I'd rather shell out more cash for a product I'd gladly use everyday than buy something cheaper but regret having bought it every single day. I will also not be able to tolerate the smell, especially if I'm not going to swim anyways. If they were to market this as a sunblock I'd be impressed because it's SPF 50 even matches my skintone and all! 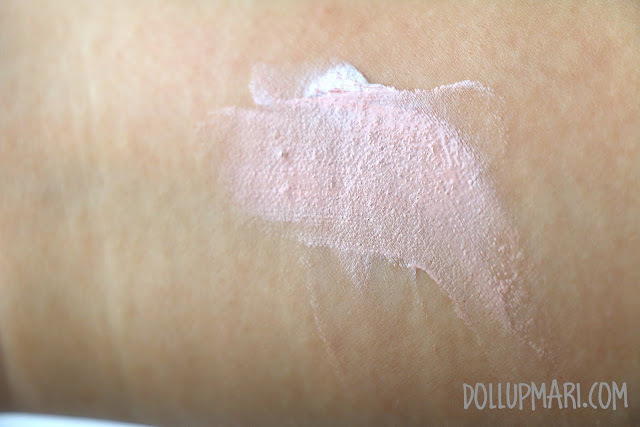 But since this is supposed to be a BB cream, the off color in photos, streakiness on the skin and the pungent odor just make it fail in being a BB cream. This is a nice sunblock, but a horrible BB cream. What's the best sunblock you've tried? Please do tell me in the comments box!